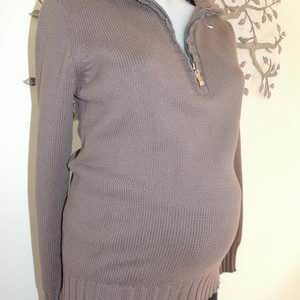 A really sweet design, perfect for your baby bump! 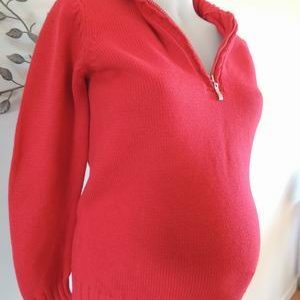 The jumper has a round neckline and a long sleeve. It is a babydoll style at the front, plain at the back. It is very soft in a cotton blend fabric with stretch. The jumper is new without tags, a sample for Ninth Moon. 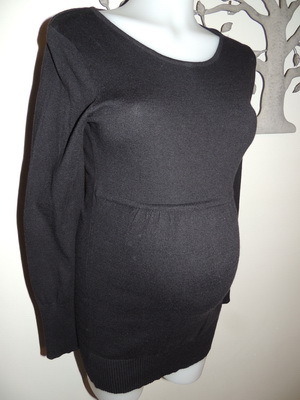 Be the first to review “NEW Black Baby Doll Maternity Jumper” Click here to cancel reply.